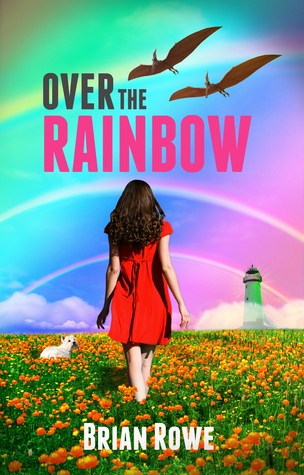 Bookittyblog YA Book Reviews: Over the Rainbow by Brian Rowe Excerpt & Giveaway! Over the Rainbow by Brian Rowe Excerpt & Giveaway! Even before the cancer started eating away at her bones, my mom was super tiny, like me. Her long,auburn hair was pulled into a ponytail that warm September night, flies dive-bombing into her pools of sweat. My brothers had just left for a weeklong mission, and my dad was in Kansas City for a business meeting. It was just my mom and me at the house. I had just returned from soccer practice. I was covered in grime, and my pits smelled like hardboiled eggs, but my mom let me eat dinner before I took my shower. “That’s okay.” It was difficult saying much with my mouth stuffed with food. My mother set her fork down and took a sharp breath, like she was about to upchuck the small amount of food she’d been able to get down. I knew she was sick, but I didn't know how sick—I was eleven years old and still believed life went on forever. She sat on the chair next to me and placed her cold, soft palm on top of mine the only way a mother could. I missed that touch. She grabbed my plate. Istopped her. “Wait, I’m not done,” I said. “Not yet.” I ran my tongue all the way up the center of the plate. She walked across the kitchen. But before she reached the sink, my mom stopped, like she hit an imaginary wall. She wrapped her arms around her belly. The plate dropped to the floor. Shattered. “Oh… oh no,” she said. She tumbled forward andstruck her head against the silverware drawer. Just a note on the pronunciation of Zipporah's name. It is sounded out TSipporah, and is a Hebrew name that is heard all over Brooklyn's Orthodox Community. The friend version is Tsippy. Who is my favorite character in Oz, Glinda of course, she wore the most amazing gowns.